Christmas is just around the corner! Happy Holidays, dear friends. 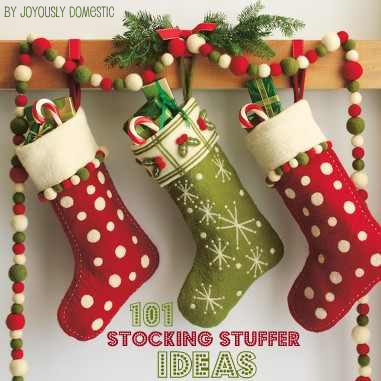 Here are some fabulous stocking stuffer ideas to keep in mind as you do your holiday shopping. Some apply to just kids (of all ages) and some are for the grown-ups. A lot of these would, also, be great ideas for Secret Santa at work or for mini gifts to attach to a larger gift.